Peer-to-peer fundraising is at the core of many Classy clients’ success stories. 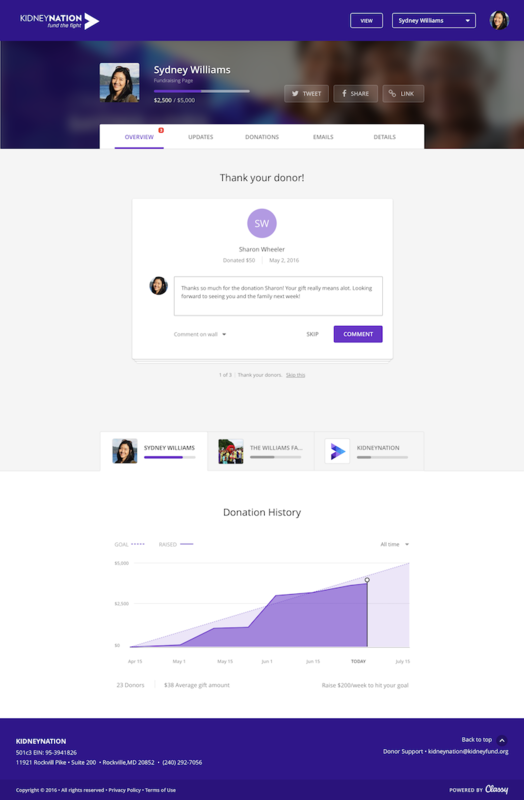 We started as fundraisers ourselves, so it was only natural that when we evolved into a technology company, our passion was translated into a tool that fundraisers could use to support the causes they love. Now, as part of our continuing evolution, we’re preparing for another big change. Like Crowdfunding before it, the new Fundraising Suite will bring on reimagined peer-to-peer campaigns this summer. Organizations with growing fundraiser communities were a major source of inspiration when it came time to rethink peer-to-peer technology on Classy. The new pages are more vibrant and network-driven. And, the newest features are being designed to give both fundraisers and fundraising teams more opportunities to shine and thrive. 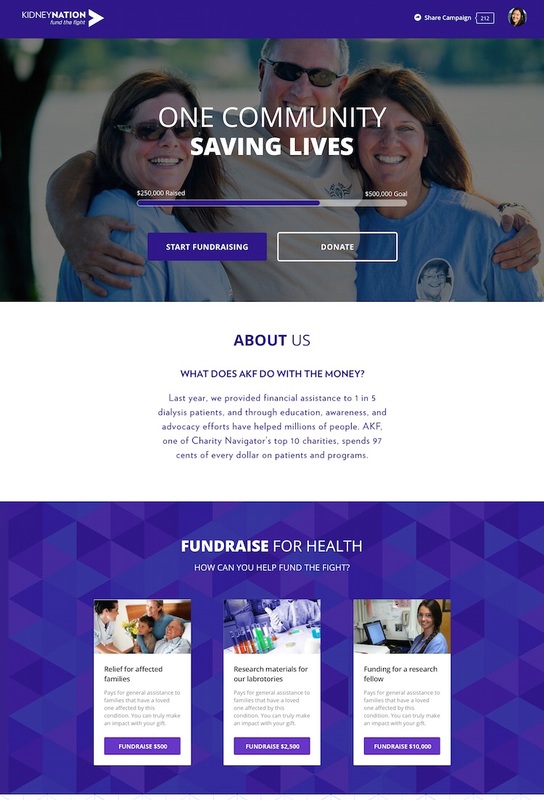 Completely mobile-responsive, the new peer-to-peer campaign design enables your organization to easily spotlight its fundraising community on any device. This campaign page becomes a living, breathing home to the movement sparked by a peer-to-peer initiative. Excitement is generated by the people rallying around a cause, so demonstrating active participation drives others to join in. 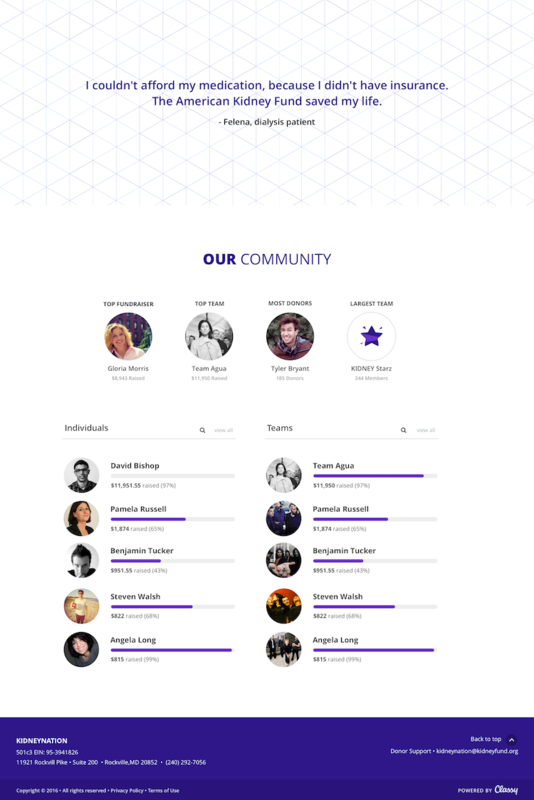 Along with the campaign landing page, you’ll see redesigned individual and team pages with a focus on community engagement. Fundraisers will have more ways to track engagement with your organization, communicate to their network, and update donors on their progress. From intuitive progress updates to visual donation tracking, the new fundraiser center is a dedicated, branded space for fundraisers to truly feel like they are a part of your organization. Building off of the latest Crowdfunding emails, the updated peer-to-peer fundraising campaigns will include new system emails to engage fundraisers throughout their campaign. One of the most exciting of these is milestone emailing. Milestone emails are triggered when a fundraiser reaches a certain percentage of their goal and encourages them to maintain fundraising momentum. This feature saves your organization the time and hassle it takes to manually organize and email fundraisers and provides a built-in opportunity to positively impact fundraising results. 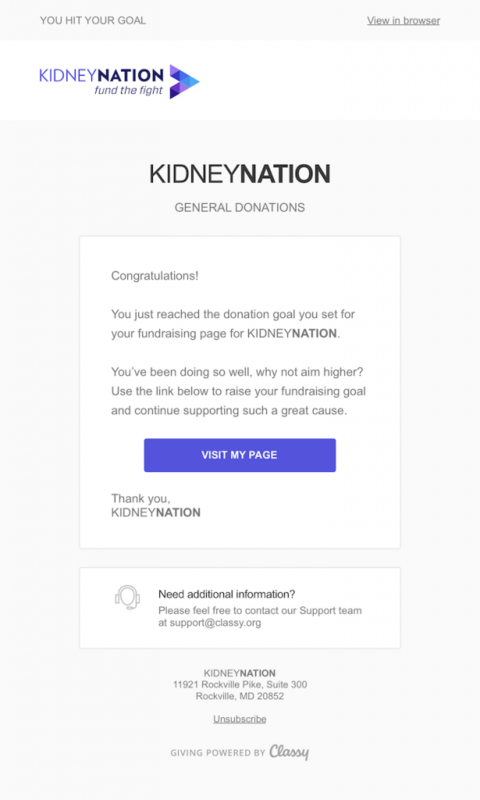 In this example, a customized milestone email encourages a fundraiser who has reached his goal to keep going. Keep an eye on the blog for these features and more coming this summer. In the meantime, we’ll continue to update you on the new Fundraising Suite as it’s rolled out!